More than $630,000 will be available to help present the Maritime Aquarium at Norwalk's environmental education programming to students in the tri-state area, following the annual "Cirque de la Mer" fundraiser on Thursday, April 25. In its 14th year, the event supports aquarium's Red Apple Fund for Student Enrichment, which helps to make the marine science and environmental education programs available, through field trips as well as traveling teacher programs, to students and educators in the tri-state area who otherwise may not be able to participate. This year's "Cirque de la Mer" was themed "Argentum," which is Latin for silver, in honor of the aquarium's upcoming 25th anniversary. 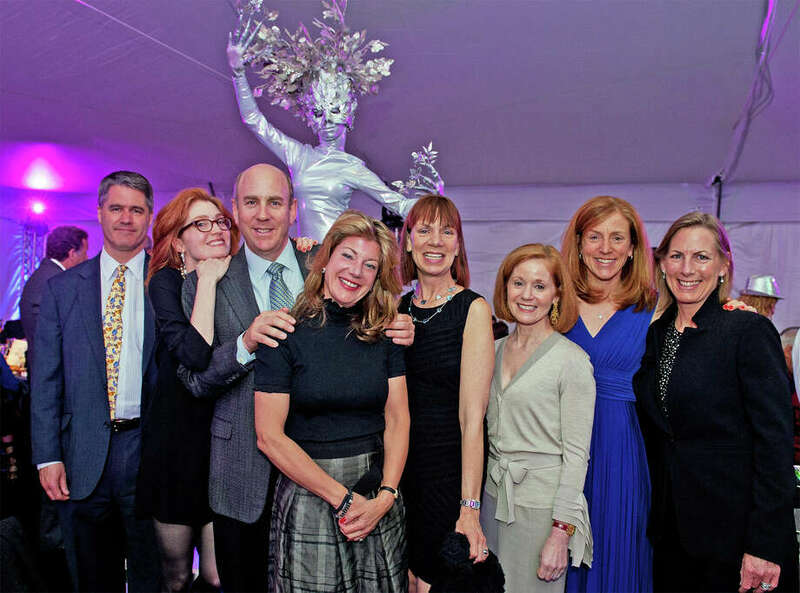 The 350 guests, many of them from New Canaan, had cocktails in the aquarium galleries, a sit-down dinner and silent and live auctions. During the evening, the aquarium presented its annual Red Apple Awards to Per and Astrid Heidenreich of Greenwich for leading the process for funding, designing and building a new "green" research vessel for the aquarium and Siemens Financial Services, a major supporter of the fundraiser. The awards honor companies, organizations and individuals who share The Maritime Aquarium's concern for the natural world and environmental education.